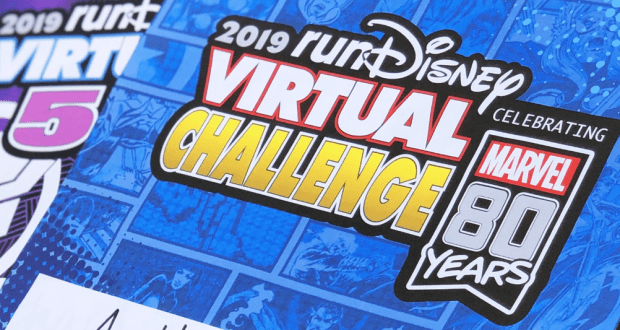 For all of you runners and fitness enthusiasts out there, you will definitely want to check out the runDisney Virtual Series for this year. This is the 4th annual runDisney Virtual Series event and it will feature three different races. This year the theme is Marvel, in order to celebrate 80 years of Marvel! Runners can choose to participate in any of the three races or participate in all three in order to earn the special Marvel 80th Anniversary medal in additional to each race finisher medals. The themed 5K races for this year are Captain Marvel (June), Iron Man (July) and Black Panther (August). Participants will receive their medal(s), a digital race bib, finisher certificate and a special commemorative item. The runDisney Virtual Series offers runners (and walkers) the flexibility to lace up and run, jog or walk on the treadmill, around the neighborhood – or on any course they choose, and is a great way for runners to get a taste of a runDisney event. It’s also a fun way for you to train for any upcoming races! The registration for the events open May 7th at 10 AM EST and then the virtual run season will take place from June 1st through August 31st. Guests can learn more about the races by visiting runDisney.com for more details. The challenge costs $145 or you can book an individual race for $40 each. You have to book the challenge if you want to be able to earn the challenge medal. Who else out there would love to earn these amazing medals?